Is Google or Facebook evil? Forget it! Russian nerds have developed a new Face Recognition technology based app called FindFace, which is a nightmare for privacy lovers and human right advocates. The FindFace app was launched two months ago on Google Play and Apple’s App Store and currently has 500,000 registered users and processed nearly 3 Million searches, according to its co-founders, 26-year-old Artem Kukharenko, and 29-year-old Alexander Kabakov. According to The Guardian, FindFace uses image recognition technology to compare faces against profile pictures on Vkontakte, a very popular social networking site in Russia that has over 200 Million users. 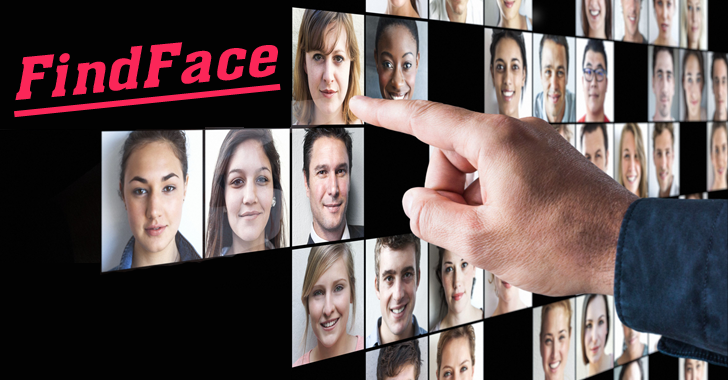 Besides showing the social media account of the one you are searching for, FindFace also shows you social media accounts of people who look very much like the person in the photograph. "It also looks for similar people," Kabakov told The Guardian. "So you could just upload a photo of a movie star you like or your ex, and then find ten girls who look similar to her and send them messages." Although many people may find the app useful, possibly girls who do not want pervs to contact them and harass them would definitely find this app as a stalking tool. FindFace has marketed itself as a dating app, but its founders hope to make big money from licensing its algorithm to retail companies and law enforcement, claiming their algorithm can search through a Billion photographs in a matter of seconds on a normal computer. They said that Russian police had already contacted them about using their facial recognition technology. Just after the launch of this app, Security firm Kaspersky also tested the FindFace's algorithm in April and found that the app works as accurate as it claims to. When the security company uploaded posed photographs, the app correctly identified people 90 percent of the time, although when it uploaded photos taken sneakily in public, accuracy decreased. Are you finding the whole thing a bit scary? This is the entirely new world of technology and gadgets where nothing is hidden; nobody is anonymous. So, the app leaves just two option for you: Either wear something on your face to trick the camera, like wearing a hoodie, mask, glasses, while roaming on a street, or you better get used to having no privacy in your new society.